As a valued client in the Metals and Engineering Industry, in preparation for the Class XIII COID Policy Renewals for 2019, we would like to take this opportunity to invite you to our policy renewals session. At the renewals roadshow, you will get all the information you need on how to renew your COID policy, declare your earnings and update us on your latest staff complement. Premier Hotel East London International Convention Centre. Marine Park Complex, 22 Esplanade, Beachfront, East London. 202 Nelson Mandela Drive, Brandwag, Bloemfontein. HR Managers, Business Owners, SHEQ Managers, HR Officers, Policy Administrators, anyone who processes company COID payments and IODs (Injury on Duty). Protection of employees from occupational injuries and illness is one of the most underrated aspects in corporate governance and ethics. Despite some impressive examples of effective health safety systems, some medium-sized and smaller companies exist in a state of confusion and hear-say when it comes to health and safety, hence they struggle to protect their employees from workplace risk exposures. According to national occupational injuries and fatalities statistics, the metals and engineering sector has the second highest number of fatalities in the country. 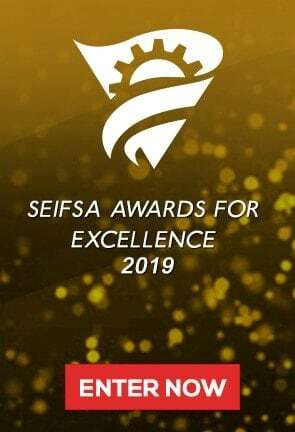 Although SEIFSA keeps its membership informed on occupational health and safety requirements, our efforts are limited to members of our Associations. To this end, says SEIFSA Safety, Health, Environment and Quality Executive Nonhlalo Mphofu, a comprehensive and integrated education campaign is needed urgently. 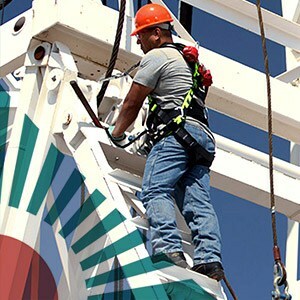 A reactive approach to health and safety is the major cause of high occupational accident rates. Mphofu likens this approach to fighting fires in the wind. When fatalities occur, the lives of their loved ones are irreparably damaged – all because businesses treat safety as a “common sense” issue, and not as something that needs to be scientifically practised every day and implemented proactively and consistently by everyone. Some organisations emphasize “transactional safety”, such as wearing proper footwear and personal protective clothing (PPE), and heeding workplace signs and notices. However, our tolerance levels for occupation health and safety (OHS) risks that could make a difference in the lives of individuals and families are high. In order to provide minimal protection for employees, it is absolutely necessary to understand the legal framework applicable to workplace risks. This includes the Occupational Health and Safety Act, the Compensation for Occupational Injuries and Diseases Act (COIDA) and even the Road Accident Fund, in some unique instances. Hardly anyone referred to fire safety requirements in terms of the City of Johannesburg’s Emergency Services By-laws. In light of the negative impact of workplace accidents on productivity and the bottom line, it is crucial for companies to view health and safety compliance as a value add rather than a mere cost centre. Zero tolerance to occupational injuries and illness must be the over-arching theme for any health and safety culture. Has applicable OHS legislation, including municipal bye-laws, been identified and made available for reference? Have workplace hazards and risks been identified and are they regularly reviewed? Have measures to mitigate risks been established, and are those measures monitored for effectiveness? Are health and safety committee meetings being held regularly and are records of recommendations maintained? Has relevant health and safety training been provided to employees, supervisors, managers, health and safety representatives, health and safety committees, 16.2 Appointees, First Aiders and Fire Fighters? Are Planned Job Observations performed as reasonably required? Are near-misses recorded and investigated? Are emergency procedures in place and drills regularly performed? Are accident reporting procedures in place and in line with the OHS Act and COID Act? Do you conduct internal annual compliance audits? Failure to comply with the requirements of either the OHS Act or COID Act can result in fines, penalties and imprisonment. In order to embrace risk-based thinking, near-misses must be seen as opportunities for improvement through mapping out and implemented preventive measures. Top management must monitor such reporting systems and prevent them from deteriorating into witch-hunts or name-and-blame situations. To this end, organisations must have policies to protect employees who report incidents and near-misses from victimization by fellow employees or line managers.